Mountain Land Physical Therapy in Billings Heights will be opening in February 2018! We will be providing physical therapy and rehabilitation services to Billings and the surrounding communities. Our Billings Heights staff specializes in orthopedic injuries, women’s health and so much more. Call us to schedule an appointment! Sari did a great job helping me fix my back issues!!! I was very impressed by her knowledge and skills. Sari is very knowledgeable and explains therapy and exercises in a way that is understandable. What a wonderful staff and physical therapist! Sari was knowledgable, and very helpful in keeping my pain at bay, relieving pain, giving me stretches to help me stay flexible. Sari received her Doctor of Physical Therapy from the University of Montana and has been with Mountain Land upon graduating in 2008. 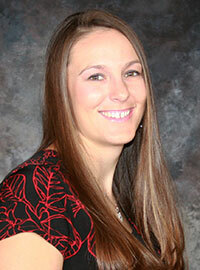 She specializes in Incontinence, Women’s Health and is also a Certified Strength and Conditioning Specialist. Sari enjoys working with individuals one-on-one and getting to know her patients. She believes that physical therapy gives her the chance to form bonds with her clients while returning them to a functional level. In her free time, Sari enjoys doing everything outdoors whether it is work or play. She enjoys riding horses and team roping plus she is always up for a game of basketball, volleyball or racquetball.